A Snow Angel Ultimate Player Holiday card from USA Ultimate. 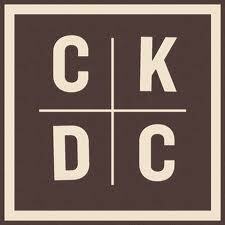 After 365 days and 329 posts in year twenty-eleven, what better way to reflect on the yesteryear? Based on reader enjoyment, here is 2011's ‘"Best"-Of’ listing from each month of SLOG postings. Ulti-Mating Behavior studied on the Ultimate Frisbee field. Summary: Psychologists studied the mostly twenty-something coed players of the Tallahassee Ultimate Frisbee League. They measured testosterone levels before and after each game during the Ultimate tournament, and they counted the total number of men & women watching or playing each game. The testosterone (steroid hormone) of both men & women players tended to increase during the game, but men's testosterone was especially sensitive to the proportion of women watching or playing, while women's testosterone was especially sensitive to the proportion of men watching or playing. 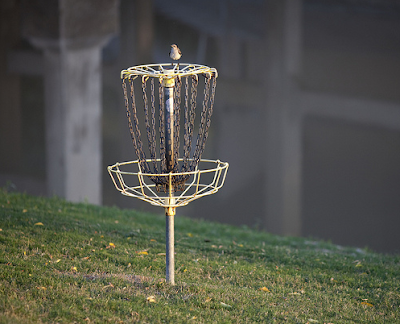 If you're against tossing leather, maybe you would prefer playing Disc Golf with a rubber chicken? Info: Bouncing, rolling rubber chickens make trying to hit the target hilarious fun for all. Everyone will be laughing while they wait to get in on the fun. This game is like ring toss only way more challenging! Who can land (and stay) on the target? 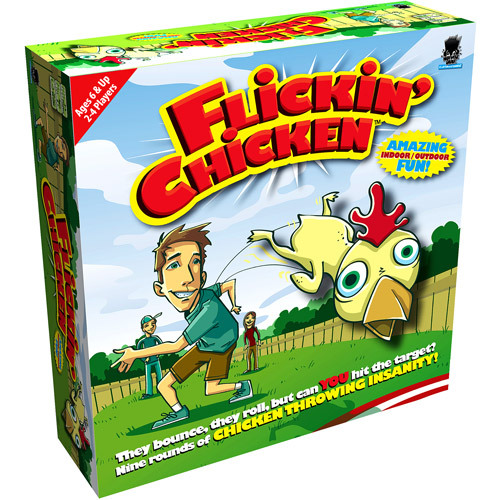 Game includes six uniquely colored 7" rubber chickens, target disc, score card, pencil & carrying bag. 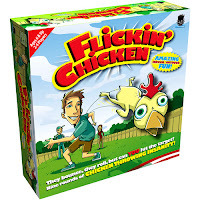 For up to 6 players, ages 6 and up. Enjoy the classic "The Huck Before Christmas"
Whilst drinking beer at the Reillys on Sunday, an inspired idea was hatched by Mike & Steve...EAT MORE DRINK MORE BEER. 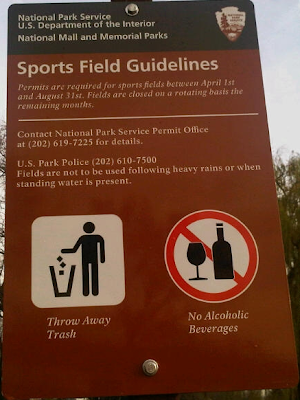 Permits are required for sports fields between April 1st and August 31st. fields are closed on a rotating basis the remaining months. 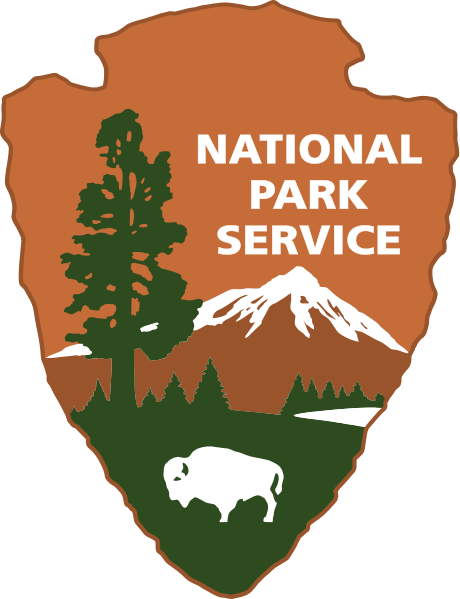 Contact NPS Permit Office (202) 619-7225. Need an alternative of decorating a tree for the Holidays? Light up another perennial supported on a single main stem - a Disc Golf Basket. Info: With a 9-inch adjustable Velcro strap, this Light-Up Locator Pod is the most versatile light pod on the planet! Originally designed to be worn on the wrist, but can also be used as Disc Golf Chain/Basket lights. WFDF provides an assessment tool for the very important aspect of Ultimate - Spirit of the Game. 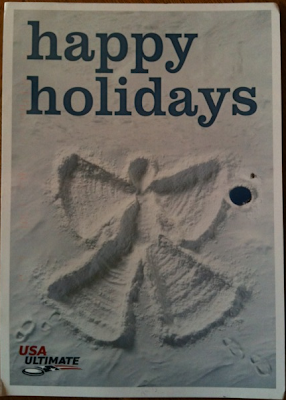 Santa may consider adopting such a score card. To achieve this, every team needs to score in a similar fashion. We recognize that SOTG is hard to capture exactly and the specifics and the examples may vary by country, competition level, etc... but if players adhere to the guidelines..., the objectives of the scoring system will be achieved. The question: “How was our Spirit compared to theirs?” is included because Spirit is also about your own behavior and allows you to reflect about it with your team. If you feel your behavior was worse, give the other team more points. If the SOTG scoring system is filled in by all teams using the guidelines above, it will consistently do well in praising teams that deserve it and help identify teams that need guidance. It is not perfect, but that is probably impossible for a broad concept such as Spirit of the Game. Available in 27 languages that speak "frisbee" including Brazil, Catalan, Chinese, Danish, Dutch, English, Estonian, Finnish, French, German, Hungarian, Icelandic, Italian, Japanese, Latvian, Lithuanian, Norwegian, Polish, Portuguese, Russian, Serbian, Slovakian, Slovenian, Spanish, Swedish, Turkish, & Ukrainian. 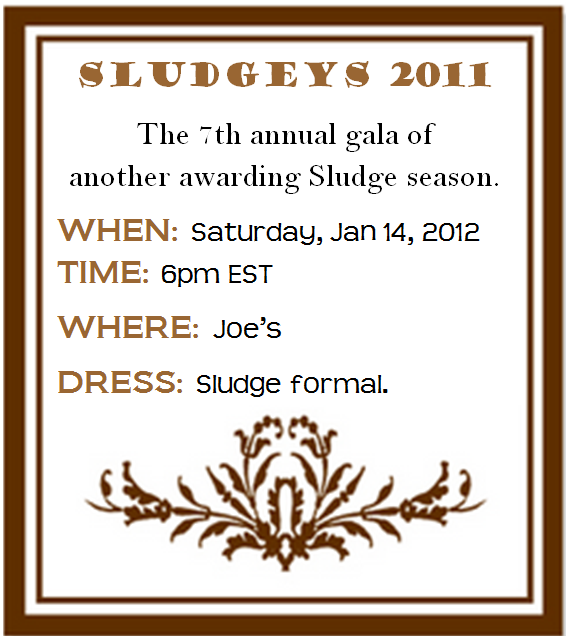 The date and location for the 7th annual SLUDGEY awards has been announced! The National Park Service disrupted the long-time pickup game at the Polo field, on Saturday December 17th, claiming they were enforcing a “rule enacted 2 months ago and being enforced this weekend.” The issue was temporarily resolved when the NPS representative allowed the games to continue for the day, but would require a permit for next weekend (Sat, Dec 24). 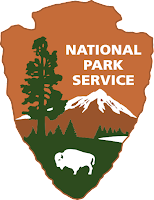 NPS may be the only federal agency that is required by statute to provide for “enjoyment.” The Ultimate players – a collection of all skill levels – have been enjoying playing at this location in this friendly, no-fee, year-round game for the past 15 years. We treat this space with respect, and seek preservation of the grounds to enjoy it week after week. The growing Occupy movements seem to be the real target, yet the enforcement to have any/all activities on NPS grounds to be permitted seems misinterpreted, misguided, and, well...ungrounded. 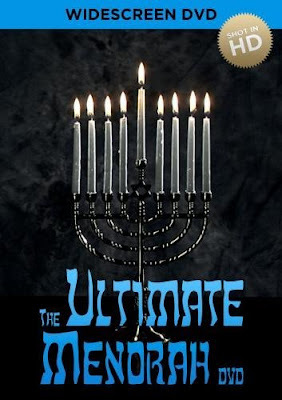 By 1pm, traces of the amazing game of Ultimate have vanished, only to return in 6 days, 21 hours. Ultimate is not dancing in a solemn atmosphere; both are fun, though Ultimate is played in wide open spaces. Ultimate is not an exercise of our First Amendment Rights; Ultimate frisbee is an exercise (sport). 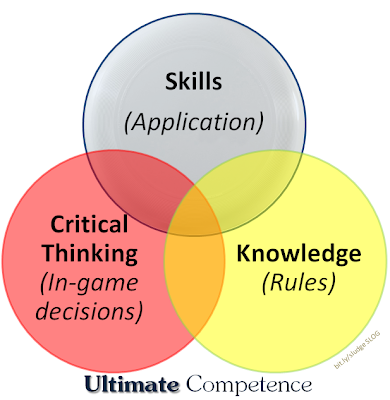 Ultimate is a sport which relies on skills (application of throwing/catching the Frisbee, athleticism), critical thinking (strategy, decision-making) AND knowing right and wrong (the rules, SOTG). 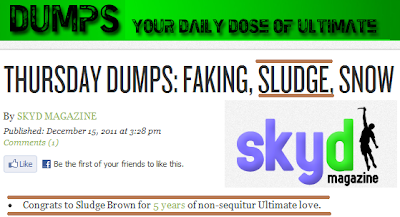 The milestone of Sludge's SLOG was featured yesterday in Skyd Mag's daily dose of Ultimate - DUMPS. Congrats to Sludge for 5 years of non-sequitur Ultimate love. Cleats are an essential item for every Ultimate player...depending on if they're at the beach, indoors or outside. Today's daily post marks five years since the very first SLOG post! 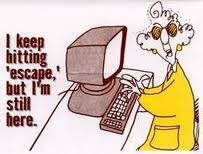 Thanks to Sludge and all other visitors for sharing this very fun diversion. 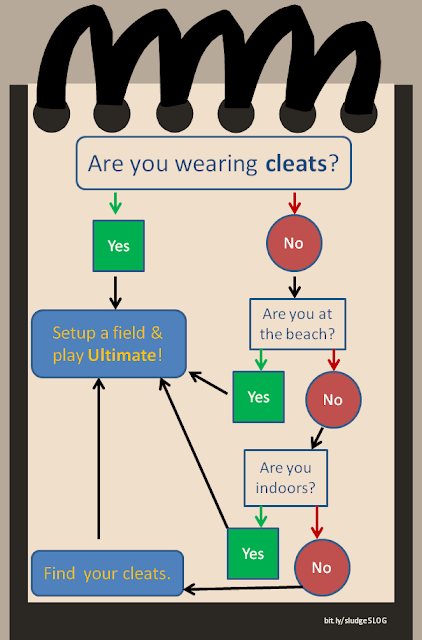 A flow chart guiding you through the question "Are You Wearing Cleats"? Happily ends at "Setup a field & play Ultimate!" Like many of us, a disc is an essential travel partner. Brodie's friend, Matt Hivner, throws his frisbee into baskets around India. Betty: If basketball is out, why don't we try Ultimate Frisbee? Betty: Sure, it's a real sport with rules and teams and leagues. Husband: No luck yet on the Frisbee, but I found the Slinky - is there Ultimate Slinky? Theatrical trailer for the first feature length documentary on a club Ultimate Frisbee team - RHINO from Portland, Oregon - preparing for the 2011 Championship series. 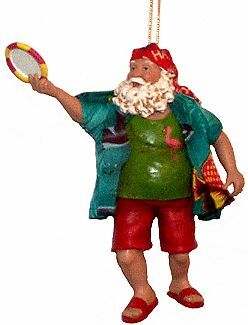 "Chasing Sarasota" is expected to be released by summer 2012. Happy Birthday, Rob! 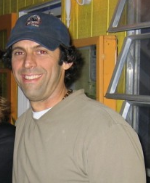 I can't believe you're 50; 49 maybe, but never 50! REMEMBER: Fifty is not the ultimate "F" word." 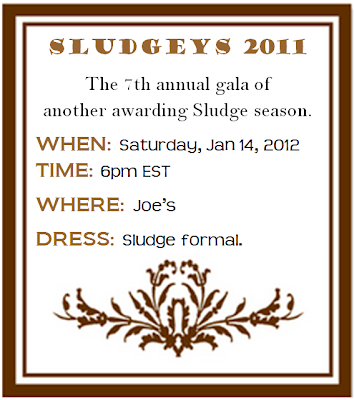 Drape yourself in your worn-in Sludge Hoodie & enjoy your milestone. 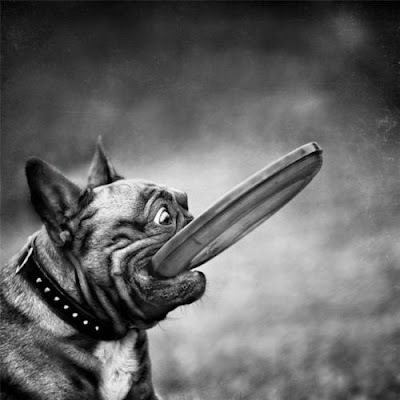 Dogs are known to enjoy the Frisbee. 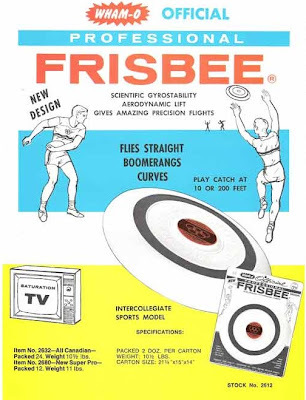 Before professional Ultimate Disc league, there was the Professional Frisbee disc. Scientific Gyrostability . Aerodynamic Lift . Gives Amazing Precision Flights. Flies Straight . Boomerangs. Curves . Play Catch at 10 or 200 feet. View a similar ad for the Master Frisbee. Bananas are a popular snack for Ultimate players, except when they are inedibly green. 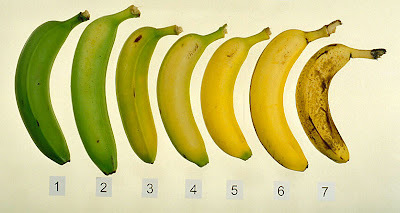 With a little help from ethylene gas, a green banana turns yellow overnight. Ethylene gas is the odorless, colorless gas emitted when a fruit ripens. The gas is released in greater amounts from some fruits such as apples and bananas. Placing a green banana next to a ripe apple gives the banana exposure to a source of ethylene gas to quicken the ripening process. Step 1: Put the banana in the bottom of a brown paper bag. Step 2: Put two ripe apples beside the banana in the bag. Step 3: Fold over the top of the bag, closing it loosely to allow air to penetrate the bag while still trapping the ethylene gas. 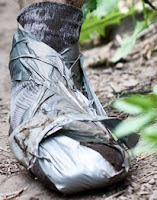 Step 4: Place the bag in an area that maintains room temperature out of direct sunlight. Complimenting an opponent on their good catch is an example of Ultimate's 'Spirit of the Game.' Nice to see another act of sportspersonship, especially in the NFL. After Hakeem Nicks (NY Giants #88) makes an unbelievable one-handed touchdown catch on Sunday 12/4, Charles Woodson (GB Packers #21) who was guarding Nicks congratulates his great catch with a fist bump. Is this what the Euro ZONE looks like? 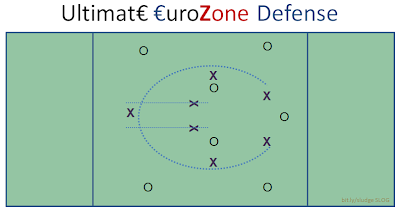 New definition for “Eurozone”: A ZONE defense known to breakdown during an Ultimate game. 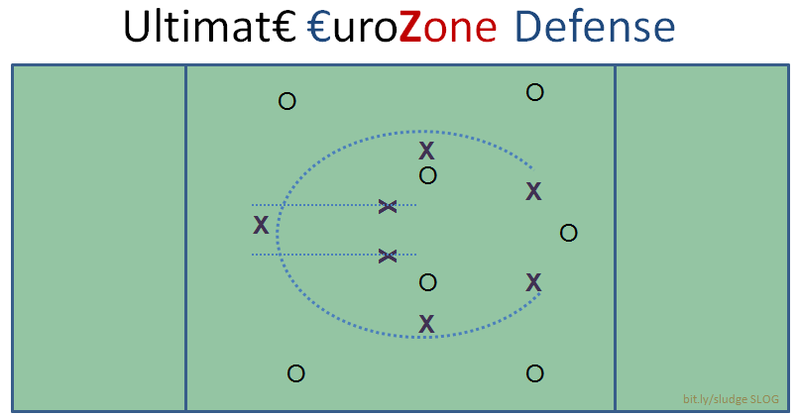 The defense strategy known as the EURO Zone is similar to the commonly known "zone" in Ultimate frisbee games where each player marks an area of the field rather than a player. The differences are: 1) the namely shape of the defense's setup, 2) a lack of confidence in its stability, 3) uncertainty of its survival whatever is thrown its way, 4) needs reform, & 5) responsible for many losses. 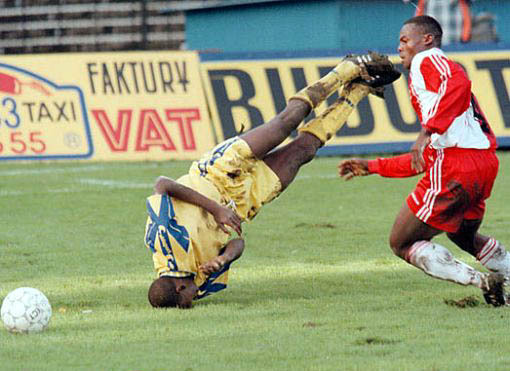 A soccer ball can really hurt the brain, while a frisbee may cause a mere malady. Play Ultimate! Hitting a soccer ball with your head, a technique used in scoring and passing, over time is linked to brain injuries that can affect memory in amateur adult players, researchers found. Those who “headed” the ball more than 1,300 times a year, the equivalent of a few times a day, were more likely to have injuries to areas of the brain responsible for attention, memory, planning, organizing and vision, according to research presented today at the annual meeting of the Radiological Society of North America in Chicago. Soccer, or football as it’s known outside the U.S., is the world’s most-popular sport. While about 78% of the 18 million Americans who play are under the age of 18, it’s unclear what the findings might mean for kids, Lipton said. 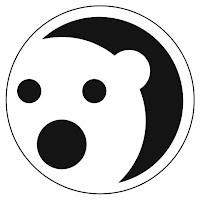 “There is a lot of reason to be concerned that the effects could be magnified in children,” he said. The most wonderful time of the year...Pickup!